"I hired Softwash Ranger to clean our roof, gutters and exterior surfaces of our home. Softwash Ranger removed all the staining at the above mentioned areas and restored the exterior of the house to the day it was built – Spotless! !…Great job Mario & Thank You…"
"It was amazing how good the roof looked after the Softwash Ranger came. I had never heard of soft wash before but it worked. I finally realized the roof is grey when it is clean (instead of the dirty black color)." "Mario and crew cleaned our roof, siding and gutters and the result was excellent. We had concerns about damage to plants, but they are very careful to avoid overspray and have a system in place specifically to prevent it. Mario thoroughly explained all parts of the cleaning process and was honest about any limitations. Not only did he do his job well, but also went beyond. He took photos of areas on the roof and siding that were deteriorating and may soon need repair. He also made recommendations on what fixes may be possible. If you are looking for a contractor that leaves you feeling as if you received more than you paid for, then Softwash Ranger is your company." "Great Service, outstanding results at a resonable price." "Excellent service and very good price." "Softwash Ranger was contracted to clean the exterior of a building that was stained and contained runs from a previous sign installed on the stucco façade. We had consider just repainting the stucco and Mario gave us great advice that the reason for the stucco was to be maintenance free from peeling paint and constant repainting. We are glad we took his advice and had him clean the entire side of the building. It came out great and really brightens up the entire building which makes the new sign really stand out. His team was very professional, extremely efficient and knew when the right conditions were present to achieve the best result. We will use Softwash Ranger for all of our building, awning and sidewalk cleaning needs, you should too." "Mario and his assistant, Did a great job. They were there on time, and did a professional/quality Job. The roof looks great, the landscape was unharmed and they cleaned up after themselves. looks like a new roof." "We had very severe ice dams which caused water to leak into the windows. Could have been a big problem, but they came quickly and did a great job. I highly recommend them." "Mario and his crew showed up on time in frigid temperatures to help us with the ice dam problem on a holiday no less! Great work, fair pricing and very professional. I own a landscape contracting business and would not hesitate to recommend Mario to my client base. TOP NOTCH ! Thanks again Mario"
"We live in a condo in the Caldwell NJ area. Our association usually does an annual ‘power wash’, but won’t do half of our buildings because ‘you can’t power wash brick’. We used Softwash Ranger to do our units part of the brick and siding and couldn’t be more pleased with the results (the association didn’t seem to mind). I’ve recommended to our association that we use them for the entire condo area next time around." 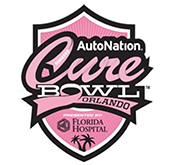 "Mario provides excellent service. We had a serious quantity of moss and streaking on our 16 year old roof. Now the roof, gutters, and siding looks like new. With the 5 year guarantee – the roof will last many more years." "Nice job. Very pleased with the outcome!" "Mario and his crew recently cleaned our roof and stucco areas of our home. The job came out great, the staining is gone and our shingled roof looks great once again. The stucco looks like the day it was installed. We were very concerned about our extensive landscape being damaged but Mario took every precaution to ease our minds. Our property suffered no noticeable damage and was left in perfect order. If you need this type of service you would be wise to contact Mario soon!" "I hired the ranger to softwash my house and deck. I m very very happy with the outcome. I would recommend him to anyone." "Very professional,came next day and on time.House looks great!" "Mario transformed our home. He washed the entire house, deck & roof – the contrast between before and after is striking. He is knowledgeable, conscientious, very thorough and he calls back in a timely fashion! I recommend him highly." "I called Mario from softwash ranger for an estimate on roof cleaning my north Caldwell home. He showed up on time ,was very knowledge and gave me a written estimate. His price was fair and we made a date on the spot. All work was completed on time and my roof looks like new. Thank you Mario." "When I first saw the beautiful job Mario did on a neighbors house, I knew this was the type of service that I wanted. Mario came over right away and did a sample on our house. I was amazed at the results. We were delighted at the very reasonable price and with the fresh house that looks almost new. The quality of their work is outstanding! They took extra care with the lawn and surrounding plants and performed beyond expectation. Service like this is rare these days, so if you are in need of top notch house washing from a reputable and friendly company, do not hesitate, call Mario!" "The Softwash Ranger Company showed up on time and complete all work as promised. My deck looks like new. My cedar shed sparkles. No mess or damage and the company owner, Mario, oversaw all work. The price is fare too. If you need some cleaning up around your place I recommend these guys.Joe C."
"These guys are real pros. They arrived promptly on the time and date scheduled, carefully removed furniture from the deck, and then went to work cleaning. They restored the roof back to its original color and then did a fantastic job cleaning the siding and the deck. I would gladly recommend them to anyone who needs this type of service." 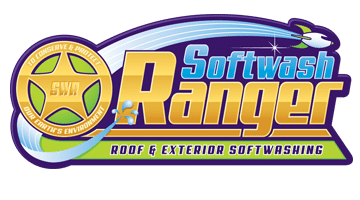 "I called softwashranger to power wash my house and Mario told us about the benefits of softwashing. Softwash Ranger cleaned our house and concrete retaining walls. We are very happy with the outcome and would highly reccomend them. He took extra care with our plants and outdoor furniture. When it comes time for a roof cleaning we will be calling him for sure. Thanks Ranger." "We have had our roof and home cleaned before, but the service and price that Mario offers is truly unique. He is prompt, professional, courteous and extremely knowledgeable. Mario is focused on customer satisfaction, and truly cares about doing a great job – a quality rarely found in today’s market. 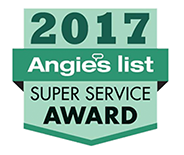 We would highly recommend him, and plan to use him again to clean our patios." "We are very happy with the excellent work Mario and his team on our home. The house had been power washed five years ago and was needing a cleaning very badly. I wasn’t sure about the Softwash system, but after seeing a neighbors home that Mario had just done, I was convinced. Do not hesitate to give them a call!" "Softwash ranger was cleaning a neighbor’s home and I watched as they cleaned silently. I wondered where’s the power washing noise. I walked over and talked to Mario and he explained all the benefits of softwashing my aluminum sided house. He gave me a written estimate on the spot. He showed up on time and did a great job on my home. I will be calling him when it is time for a roof cleaning." "I had my East Hanover roof cleaned by Soft Wash Ranger. I am very happy with the results. Mario and his people took great care with all the greenery around the house. Nothing was damaged. Thank you, Mario!!!" "I used softwash ranger to clean our painted cedar house. I chose softwashing because power washing would blast the paint off of my old cedar siding. The results were fantastic. I went from thinking I needed to paint my home to just doing some touch ups. I would wholeheartedly recommend their services to anyone!" "From one Mario to another. i have to say I was skeptical of the no power washing concept. Turns out great decision, excellent results. Gutters and siding look like they were installed yesterday, not twenty years ago like they were. Mario was very professional, courteous and a pleasure to deal with. would not hesitate to use his services again." "Mario’s professionalism and attention to detail were outstanding. He and his crew moved then put everything back in place. My house brick and siding, pavers and decks are sparkling clean, the dirt and mold are gone! I would not hesitate to recommend Softwash Ranger." "Our house, a combination of stucco and siding, the associated walks, decks, gutters, roof, and chimneys all were in need of special cleaning and stain removal after 10 years and several hard winters. Mario and his assistant Carlos worked tirelessly to restore the new appearance of our home. They were not only very professional, but worked to replace every plant and chair to its original place when the job was done! I highly recommend them and will definitely call you again." "We used Softwash Ranger to power wash our house and are extremely satisfied with the job. The grime and muck on our white vinyl siding from the harsh winter was not something we expected could be removed. Mario and his team did an exceptional job and we can’t believe how great the siding looks now. We highly recommend others to use their services. Thank you. Denise & Jeff B." "Walked up to Softwash Ranger after they finished up work on a neighbors house and asked them about my roof. Their description of the work was very helpful and the estimate was in line with my expectations. After completion they went over the work completed and any issues they ran into. I wholeheartedly recommend them." "Wow!!!! that was my reaction when I saw the results that Mario and his crew had promised me when I hired Softwash Ranger! Our house looks like the day we bought it 10 years ago , they also took care of the walkway and deck !! what an improvement !! !I wouldn’t hesitate to refer them to anyone, they were great! Thanks again Mario.."
"This was the first time we used Softwash Ranger and we were impressed with Mario’s knowledge and professionalism. We had the house, deck and concrete pavers cleaned and they look fantastic. It has been a couple of months since the work was done and the place still looks great, there is no longer any green moss or weeds between the pavers. Our neighbor was so impressed that she hired him on the spot to clean her house and deck. The Softwash crew was very professional and we would refer them to anyone." "We recently used Softwash Ranger to clean our very stained roof, which looked as if it needed to be replaced. What a difference Softwash made in the appearance of our home! The price was on target, service was all that we could ask for. We highly recommend to anyone whose roof needs a good cleaning!" "Mario and staff were great. Very respectful of our landscaping while soft washing our home. Super job and great service. Very professional. I would highly recommend." "Mario did a great job cleaning our roof and the exterior of our house. Stains are gone and it looks like new. He also took extra care with plants and bushes. Thanks so much." "We used Softwash Ranger to clean our roof and siding which hadn’t been cleaned since we had our home built 10 years ago! To say we were impressed is an understatement! Our home looked as good as the day it was built, and our entire experience with them was pleasant and professional!Would highly recommend to anyone. ~Frank"
"We used Mario to remove snow and ice off our roof and he was very good. They were very professional and reliable. The prices are reasonable, and I would recommend them to anyone looking into this service."